"Jo Weldon is the gold-standard for New Burlesque. I am proud to call her my friend, and unashamed to admit she's my idol." - Lily Burana, author of Strip City: A Stripper's Farewell Journey Across America From one of the stars of the New Burlesque scene, Jo Weldon, comes a definitive, easy-to-use, and indispensable guide to the art form, with a foreword by superstar comedian and burlesque enthusiast Margaret Cho. 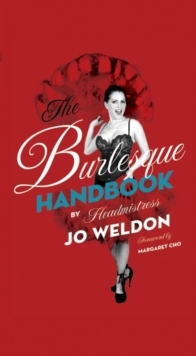 Fans of Dita Von Teese-as well as performers of every stripe-will love the helpful advice and feisty attitude of The Burlesque Handbook.